"Elvis" was the theme of last year's show setting up from left to right: Chester Garden Club Members Sheila Curtis, Linda Blosser, along with Wildwood Garden Club members Tunie Redodian, Shirley Hamm. 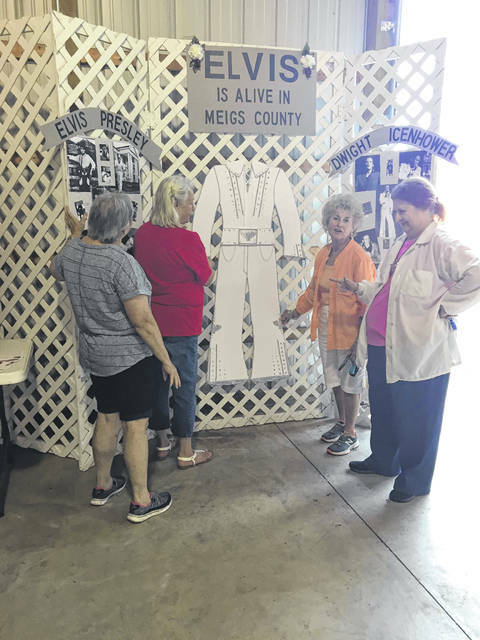 “Decades of Disney” will be the theme for both days of the 2018 Meigs County Fair Flower Show. The first show begins Monday, Aug. 13 and will feature adult artistic arrangements inspired by Disney movies. A design showing motion will highlight “Around the World in 80 Days”; “Tangled” will be brought to life with a Fantasy Flow design; and the challenge for “Honey I Shrunk the Kids “entries are arrangements not to exceed five inches in any direction. During the second show on Thursday, Aug. 16, “The Force Awakens” in this 2017 Star Wars saga when adult artists interpret this movie with a design of their choice. Disney classics “Cinderella” and “Pinocchio” are sure to be crowd pleasers. A Duo Design inspired by Mickey Mouse falling in love with Minnie in the 2017 Disney cartoon “Locked in Love”, will be both challenging and fun for the designers. The junior division entrants will be challenged to create a small design for an upcoming Disney Movie and iconic feature of the 1964-1965 New York World’s Fair and Disneyland in Florida, “It’s A Small World”. Junior artists will of course be required to use a toy in their “Toy Story” design. 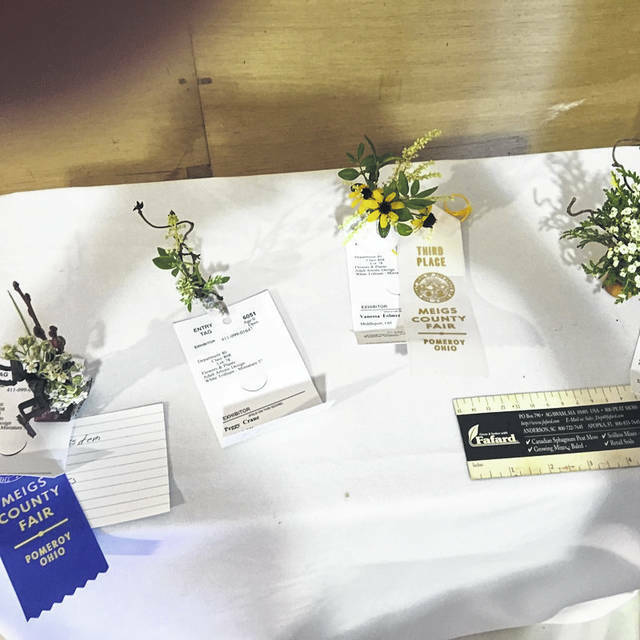 Horticulture is also part of the show on both days, and specimens are judged by criteria set forth by the Ohio Association of Garden Clubs. Tables filled with single cuttings of a variety of Roses, Dahlias, Zinnias, Marigolds, Gladiolus, Hosta, Sunflowers, Caladium, Celosia, and Coleus will be on display. Groundcover, Hosta, and multiple grasses, along with herbal features include Basil, Feverfew, Yarrow, Echinachia, Oregano, and Mint will also be part of the horticulture entrees. This year professional designers from flower shops in Meigs County have also been invited to create designs for display only. 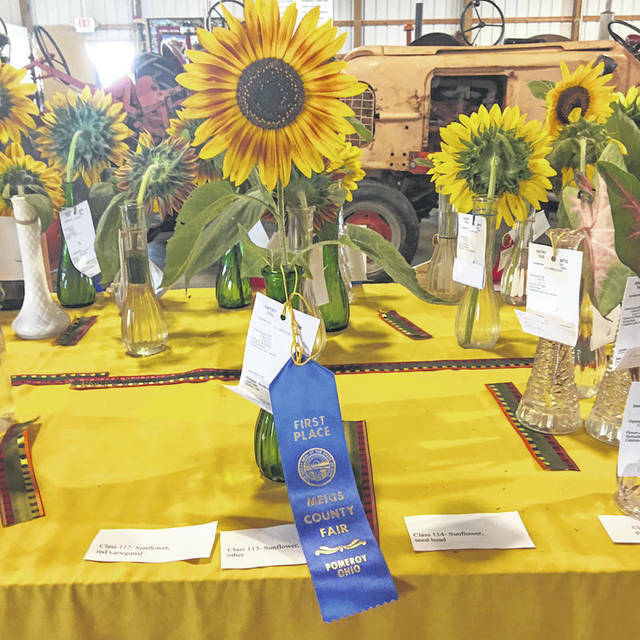 The Flower Shows are presented by the Meigs County Garden Clubs and open to anyone who would like to participate. For more information on a full list of design and horticultural divisions, as well as entering and displaying at the Garden Shows, please visit www.themeigscountyfair.com and select Flowers and Plants. "Elvis" was the theme of last year’s show setting up from left to right: Chester Garden Club Members Sheila Curtis, Linda Blosser, along with Wildwood Garden Club members Tunie Redodian, Shirley Hamm. 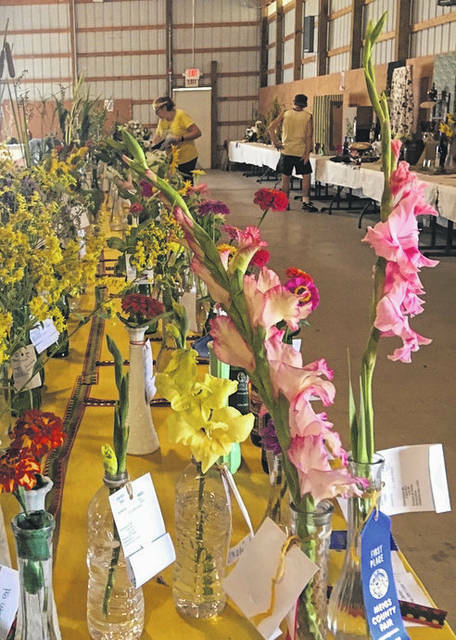 https://www.mydailysentinel.com/wp-content/uploads/sites/14/2018/08/web1_8.6-Flower-Show-1_ne20188121104740.jpg"Elvis" was the theme of last year’s show setting up from left to right: Chester Garden Club Members Sheila Curtis, Linda Blosser, along with Wildwood Garden Club members Tunie Redodian, Shirley Hamm.